By the middle of 2003, as it became clear that the American invasion of Iraq would result not in a quick “mission accomplished” but a long, bloody occupation, a certain narrative of what went wrong began to take root in some precincts of the anti-war left. The decision to invade Iraq, this story went, was the result of the government falling under the sway of a dangerous ideology, called neoconservatism. The neocons, as they were often derisively called, believed in the naked assertion of American power—in a kind of imperialism, really, which gave America the right to invade other countries and remake the world at will. Such adventures might be cloaked in the rhetoric of promoting democracy, but in truth the neoconservatives were anti-democratic, because their intellectual guru, the University of Chicago philosopher Leo Strauss, had taught them that the ruling elite should keep the masses in ignorance. At the same time, somewhat paradoxically, the neoconservatives did not really care about American interests; their primary goal was to remake the Middle East for the benefit of Israel, and the invasion of Iraq was really carried out at the behest of Likud. It was not hard to find the common theme that connected all these allegations: a small group of Jews, working together and inspired by a sinister Jewish mastermind, had taken over the American government and was using its power to serve Jewish ends. In other words, the neocon myth—which began on the hard left but found subscribers on the isolationist right as well and became almost commonplace in Europe—was in some quarters a twenty-first-century reprise of some old and very unpleasant ideas about Jewish power. It was not uncommon, five or six years ago, to hear warnings about the neoconservative “cabal”—a word with a long anti-Semitic history—or to find critics of the Bush Administration demonstratively making lists of its Jewish members. There were many possible rebuttals to this kind of insinuation: for instance, that while there were prominent Jewish neoconservatives in the Bush Administration, the actual decision-makers—Bush, Cheney, Rumsfeld—were neither neocons nor Jewish; or that many other leading neoconservatives were Catholic; or that the vast majority of American Jews are liberals who oppose the neoconservative agenda. But just as sunlight is the best disinfectant, so the best response to myths and rumors about neoconservatism is the actual history of neoconservatism. That is what Justin Vaïsse provides in his very intelligent and well-researched new book. More than a few books have already been written on this subject, and parts of the neoconservative story have passed into legend. The reader who once again encounters, in Vaïsse’s opening pages, the cafeteria at City College in the 1930s, where the Trotskyists of Alcove 1 debated the Stalinists of Alcove 2, might well heave a sigh – enough alcoves already! And it is possible to be less than fascinated by the finely discriminated stages of the ideological evolution of Norman Podhoretz. But these things turn out to play a smaller role in Vaïsse’s book than in many studies of neoconservatism, because he is not primarily interested in what he calls the “first age” of the movement. This period, starting in 1965, was when a recognizable neoconservative tendency began to split off from the larger group known as the New York intellectuals. Those intellectuals, from Lionel Trilling to Irving Howe to Irving Kristol, shared a common background—they were mostly poor, first-generation American Jews, born in Brooklyn and the Bronx, who came of age during the Great Depression. And they shared a common political trajectory, from their early Marxist radicalism, through disenchantment with Stalinism and the Communist Party, to the anti-Communist liberalism of the 1950s. This neoconservatism marks an important chapter in both American and Jewish-American intellectual history. But it would hardly be of compelling interest to a European political scientist, or a European reading public (Vaïsse’s book was published in France in 2008, and has been nicely translated by Arthur Goldhammer). What drew Vaïsse to the subject, rather, was foreign policy, which moved to the front of the neoconservative agenda in the late 1970s and became its exclusive focus in the George W. Bush years. Essentially, Vaïsse is reading the history of neoconservatism backward from the Iraq War, on the principle that “Bush’s failure in Iraq was also the failure … of a certain version of neoconservatism.” To explain this failure, he tries to understand how neoconservative ideas and personnel became influential enough by 2003 to play an important role in American foreign policy. That story begins in the 1970s with the so-called “Scoop Jackson Democrats,” whom Vaïsse identifies as “second age neoconservatives.” These were Democrats who had once been classic Cold War liberals, supporters of John F. Kennedy in 1960 and Hubert Humphrey in 1968. But the Democratic Party’s move to the left, under the pressure of the Vietnam War and the social changes of the 1960s, left them feeling stranded, especially after the Democrats nominated the dovish George McGovern in 1972. In response, many of them rallied around Senator Henry Jackson, a liberal hawk who became a patron saint of neoconservatism. One month after McGovern was routed by Richard Nixon, these Jackson sympathizers founded the Coalition for a Democratic Majority, a small organization that bulks very large in Vaïsse’s book. He charts its career through the rest of the 1970s, as it tried and largely failed to convince the Democratic Party of the need for higher defense spending and a more confrontational policy toward the Soviet Union. As Vaïsse makes clear, this was initially a battle within Democratic ranks. Many foreign-policy neoconservatives remained liberals on domestic policy; and even at the time of the Iraq War, there were neo-liberals or liberal hawks who held this same combination of views. In the 1970s, moreover, the Republicans were the party of Nixon, Kissinger, and detente, which were anathema to the neoconservatives. It was not until 1980, when the Republicans nominated Ronald Reagan, that most of the neoconservatives migrated into the Republican Party, with some former Democrats taking jobs in the Reagan Administration. By that time, the Coalition for a Democratic Majority had given way to the nonpartisan Committee on the Present Danger as the main neoconservative pressure group. Yet Vaïsse argues, convincingly, that Reagan’s foreign policy was never strictly neoconservative. Yes, he raised defense spending and called the Soviet Union “the evil empire.” But in his second term, he reached out to Mikhail Gorbachev and negotiated arms treaties, which the neoconservatives deplored. Was it Reagan’s toughness or his openness that helped bring about the fall of the Soviet Union? That question would have huge implications after September 11, 2001, when the “third age” of neoconservatism came into its own. By then, Vaïsse notes, the neoconservatives had long since lost their early connection to the Democratic Party. On domestic issues, they were mostly indistinguishable from other Republicans. This meant that an aggressive foreign policy was the main identifying characteristic of a neoconservative: neocon had almost become a synonym for hawk. But Vaïsse shows that something still separated neoconservatives like Paul Wolfowitz and Richard Perle from more traditional hawks like Cheney and Rumsfeld, whom he calls simply “assertive nationalists.” This was a belief, carried over from the Cold War, that the promotion of democracy was both in America’s national interest and an American duty. It is now pretty widely agreed that the invasion of Iraq was a failure, and that this failure discredited the neoconservatives. But Vaïsse points out that the neoconservatives themselves do not see it that way. They had always argued that the invasion of Iraq would require massive forces and be followed by a long period of engagement. They were interested not just in victory but also in democratic reconstruction. It was Rumsfeld, not Wolfowitz and Perle, who urged an invasion “on the cheap,” with the minimum number of American troops and with no post-invasion planning. Vaïsse does not endorse this neoconservative defense. In the end, he is strongly critical of neoconservatives—for their hubris about American power, for their tendency to exaggerate threats and underestimate dangers, and for seeing states such as Iraq as bigger threats than terrorist groups such as al-Qaida. But unlike most critics, he sympathizes with neoconservative aspirations and anxieties. He recognizes that the neoconservatives are advocating what they believe to be the right and effective policy, not engaging in cynical or suspicious manipulation. And he is very tough about the canards that have grown up around the word “neoconservative”—in particular, the ludicrous overestimation of the influence of Strauss, which often goes along with a shallow or malicious misreading of his work. As a result, Vaïsse is perhaps a little too careful to minimize the role of Jews, or at least of the Jewishness of Jews, in neoconservative thinking. 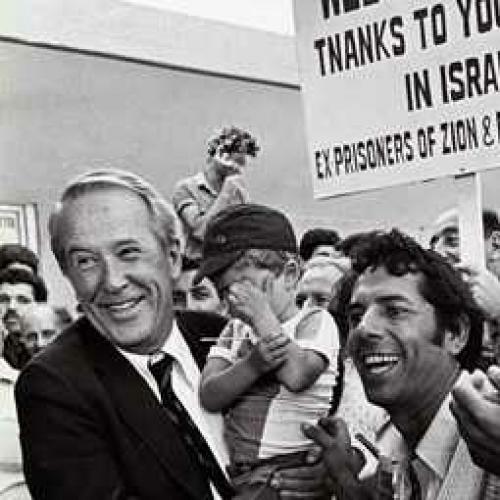 It is quite true, as he says, that it is not “‘in essence’ a Jewish movement”: not all neoconservatives are Jews, most Jews are not neoconservatives, and neoconservatives certainly do not place “Jewish interests” ahead of “American interests.” Still, I think that the appeal of neoconservatism to many Jews can be related to lessons that they draw from Jewish history. Neoconservatism can be defined as aggressive support for (classical) liberalism, and it is clear that the fate of the Jews has absolutely been connected to the fate of liberalism. Where free speech, the free market, individual rights, and tolerance flourish, Jews flourish; where they are destroyed, Jews are destroyed. This is one reason why American Jews tend to be patriotic: America has the most durable and deep-rooted liberalism of any country in the world. The desire to defend and to extend American freedoms is what leads many Jews to be left-liberals; but it is only a different interpretation of what that same defense requires, and who freedom’s enemies really are, that leads some Jews to be neoconservatives. And there is nothing sinister about that.